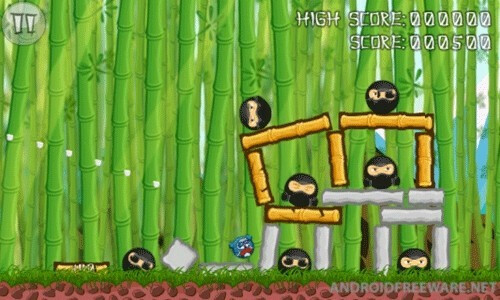 Angry Birds rip-offs: great minds think alike? There is this wildly addicting game out there that you may or may not have heard of. It has been downloaded millions of times in dozens of countries around the world. With availability on platforms such as Apple’s iOS and Google’s Android, this game has gone mainstream unlike any mobile game before it. Know what it is yet? It is none other than Angry Birds. Angry Birds is simple in concept, yet will drive anybody insane with its puzzling levels. It has risen to such a high level of popularity that there is an animated movie coming out in a few months with some relation to it. What is the best way to tell how popular a game has truly become? The answer to that is easy - just take a look at all of the copycats. Angry Birds's rise to fame has caused game makers everywhere to hop on the hype train and create variations of their own. These variations can be referred to as rip-offs, knock-offs or any other word used to describe a borrowed concept. However, Angry Birds is not the first of its kind either. Many gamers suggest, that the guys from Rovio, the software company behind the bird-tossing phenomenon, have been inspired by some older games like Crazy Penguin Catapult and Crush the Castle. 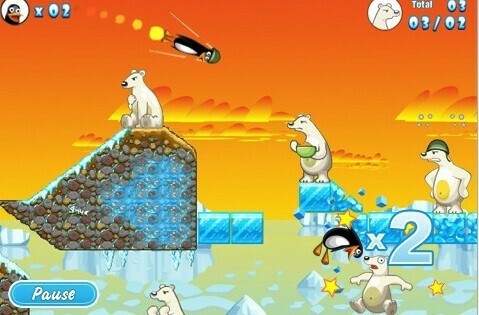 Crazy Penguin Catapult is a simple iOS game and it is quite similar to Angry Birds. Instead of birds, you throw penguins and instead of attacking pigs you are attacking those big mean polar bears. There is also this PC video game that predates Angry Birds by about two years. It is called Crush the Castle and utilizes the same concept with a different story line, just like pretty much every one of the knock-offs. What made Angry Birds stand out and go viral is that it picked all the best features of its archetypes, twisted them around, and implemented them into this addicting bird-tossing video game that we know and love today. None of the rip-offs seem to beat Angry Birds in popularity, but many of them are still pretty damn cool. We’d like to tell you about some of the copycats in the event that you get bored of Angry Birds, or if you race through the newest levels faster than the game can be updated and just itch for something more. 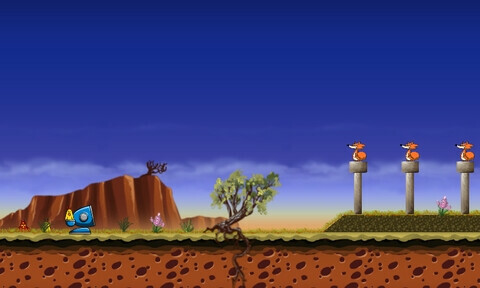 Angry Birds first came to those with an iOS device such as the Apple iPhone 4. There are several games available in the App Store that are similar to Angry Birds and are worth being given a shot. The first is called Cannon Cadets and features 80 challenging levels plus its very own level builder. Its story goes like this: the good guys launch themselves off a cannon at armies of evil robots. There is also a game called Bullistic, in which herds of bulls are launched one by one at a porcelain shop in an effort to cause as much damage as possible to the misfortune of the poor shop owner. If you get tired of bright colors and cute fuzzy animals, then try Trucks and Skulls. As you can already tell, the goal is to destroy all skulls on the level by ramming monster trucks into them. Another popular game in Angry Birds fashion found on iOS also features one of the longer game names you’ll run into. It is called Pirates vs. Ninjas vs. Zombies vs. Pandas, or PvNvZvP for short. Make sure you check out the game's trailer – it is epic! Take our word when we say these knock-offs are good fun. Better yet, try them for yourself. When Angry Birds became available for the Android platform, it was downloaded more than 1 million times during the first day of availability. In fact, a server crashed due to the heavy demand. Like iOS App Store, the Android Market has a few games similar to Angry Birds. 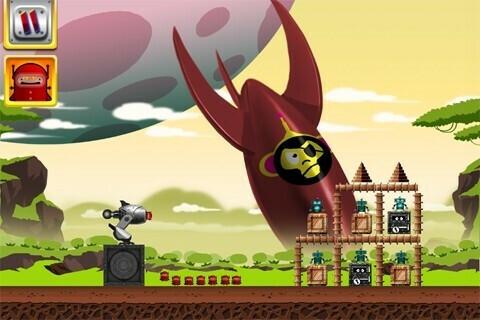 Of course, we have to mention Crush the Castle, Angry Birds's “grandfather” if you will. The aim is to hurt all inhabitants of a given castle by launching stones at them with your trusty medieval trebuchet. There is also Pandas vs. Ninjas, not to be confused with PvNvZvP. 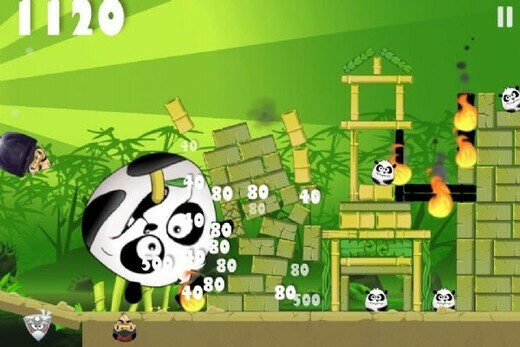 The game offers a hundred levels of fun and even more can be added via the additional China edition. Angry Birds has yet to arrive on the Windows Phone 7 OS, but a developer was generous enough to bring a game called Chicks 'n' Vixens to the table which is very similar. In fact, like some of the others, the creators of Chicks 'n' Vixens markets it towards users anxiously awaiting the day when Angry Birds will arrive. 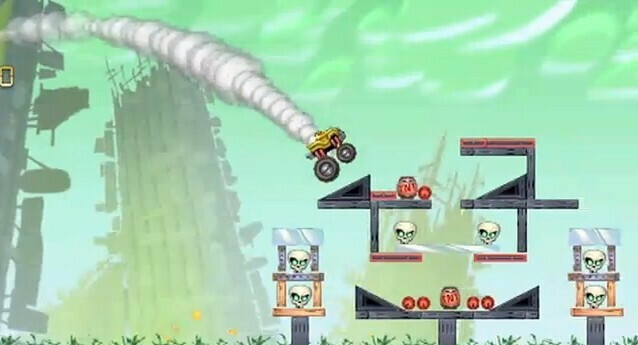 Another Angry Birds-inspired video game for WP7 is Boss Launch 2, which is probably the child of a bored office worker. In Boss Launch 2, a chubby fellow gets launched off an office chair at a pack of zombies. What makes the game unique is that the player gets only one shot, which makes Boss Launch a bit more challenging. Like WP7, Angry Birds has yet to be ported to RIM's BlackBerry OS. However, perhaps the most blatant rip-off can be found here. The game is called Angry Farm. As if the name isn’t bad enough, gameplay is almost identical. Really the only differences that you can see other than the fact that it has far less levels than the original (only 30 at the moment) are the use of farm animals instead of birds and a target of foxes instead of pigs. Still, these knock-offs are all fun and worth a peek. So if you didn’t know what Angry Birds was before, you probably do now. You might have already downloaded it by the time you finished reading this. You might not have even finished reading this because you are already addicted. For those of you who managed to fight the Angry Birds urge and finish this article, go ahead and give some of these alternatives a try. Probably nothing will top the original, but some of them are still pretty cool and fun nonetheless. Tell us what you think in the comments below! What do you know... ANOTHER angry birds post. 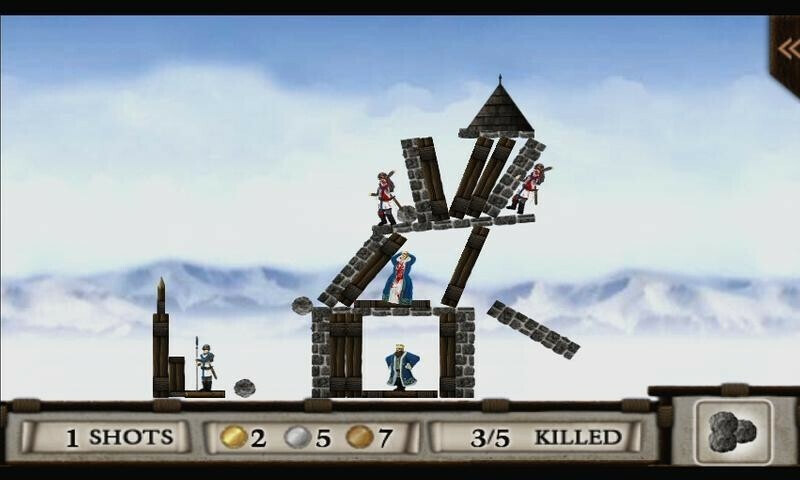 Crush the Castle was also out on iOS and Android before Angry Birds, to qualify it as just "this PC video game" doesn't quite do it justice. Anyone see Angry Frogs??? GARBAGE!! Wow... Dissing Angry Birds ripoffs... There's been games on sites like Newgrounds with the same core gameplay mechanics for YEARS before. The only reason Angry Birds is a success is because it does have good level designs, it has a BUNCH of levels, and it has the "Cute birds and pigs" which the chicks dig. The gameplay of Angry Birds is pretty rudimentary for this genre though, a genre that's been aruond since the 80s on PCs. 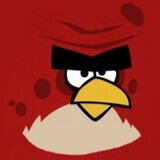 Angry Birds is the best....!!! Angry birds is a blatant rip off of Crush the Castle. Except the style of the bird game looks to be made for small children. I guess they judged the mental level of their audience well.